If the thigh length is accurate, select a crank length. I recommend that you select a crank length near the middle of the range the first time through. 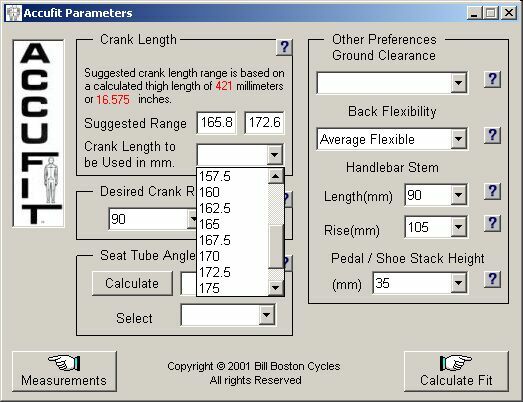 You should come back and select the actual crank length on your existing bike before using the bike setup calculations to adjust your bike.